As employers are competing for the same talent and employees place more importance on working for companies that align with their personal core values, authenticity becomes an increasingly important component for an organization. Employees are demanding transparency and honesty from their organization’s leaders, and this transparency is being reflected in the workplace’s physical design. Companies also need to be true to themselves and their own values and figure out how they want to be known and represented as an organization. When a space is designed that is authentic and genuine, employees are engaged and the space will thrive. Space on its own is not going to create the right culture. Amenities that work for one company may not work for another. 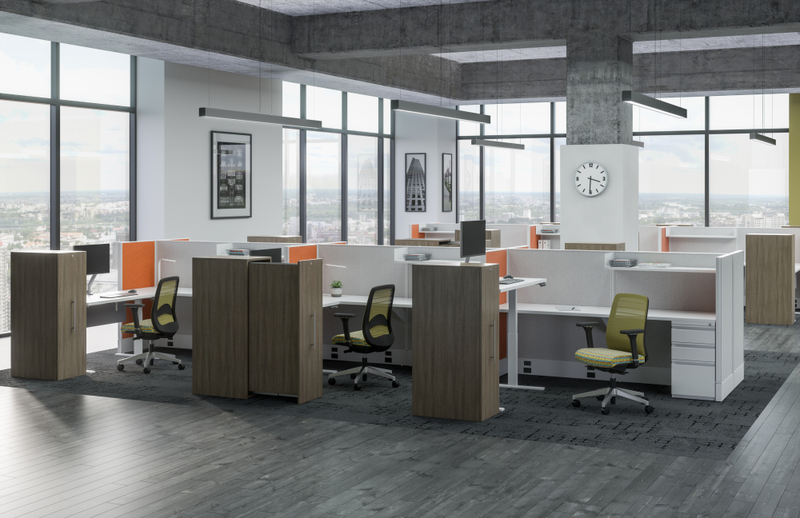 Authenticity not only needs to be exemplified within the design of the space, but also extending to the organization’s policies, as well as the opportunities for staff. In a world of where we are consistently flooded with information and data, there are always new fads surfacing as the “latest and greatest” elements to incorporate into your workplace. We predict that design and planning will circumvent the noise of the latest fads to go back to focusing on basic human needs. Instead of “latest and greatest” it will be “tried and true.” The true things here are basic human needs – air, water, food, shelter, sleep, security. This is a nod to your early schooling days or Maslow’s Hierarchy of needs. 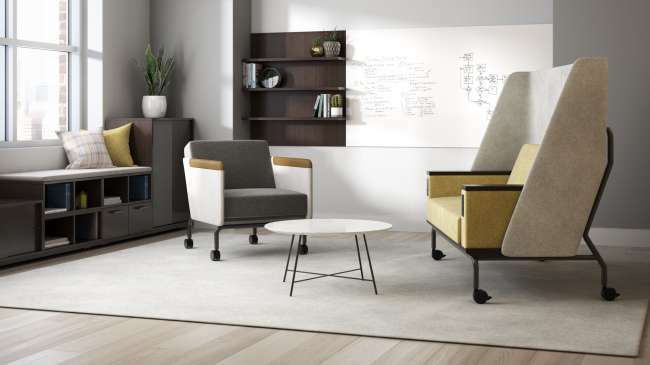 When evaluating the latest design “trend” to incorporate into your workplace, using basic human needs as a compass for alignment will serve as a validation tool to prove it to be worthwhile endeavor to pursue, rather than simply just a fad. Don’t try to do too much. Analyze what your needs really are and go from there. Well-being, a trend that has been a hot topic in the past years, will, for many organizations, move from simple awareness to becoming a more important priority. In our experience, many clients want to incorporate wellness aspects into a project, but it often becomes the first thing to be value engineered out to save costs. But as more data and research comes out to support the ROI, this is something that can’t be ignored. Wellness is about going beyond the obligatory green wall or sit-stand desk. It’s about finding ways that truly support individuals’ mental and physical wellbeing. We predict we will see more projects with: circadian lighting, meditation rooms, spaces or things to “reset” or enhance mood (perhaps even a mood crystal or two), subliminal wellbeing design (i.e. materials and patterns mimicking nature), and overall more attention to sensory elements within a space. There is a reason that coworking and flexible work spaces are coming up in the news every day. It’s hard enough for companies to predict what their headcount and requirements will be in the next year or two, let alone ten years from now. Although coworking and flex working environments offer the benefit of flexibility, our industry is still growing in this as a whole. In creating spaces that are truly flexible every sector needs to create solutions to support this; from design, to construction, to furniture. We predict we will see more options and smarter approaches to creating the flexibility our clients need. To address this, more time and resources need to be invested upfront in order to understand an organization and to plan for the future ebb and flow in the best way possible. This year we predict that solutions will come out that will address these challenges, it will be interesting to see how our industry responds. We are excited to see how our predictions emerge through different channels in our field – or how they take a different course in their implementation. We spend 80 percent of our time at work and it has grown to be more than just a place to do business, it is the epicenter and the representation of how we, as a society, support and enable productivity and progress. 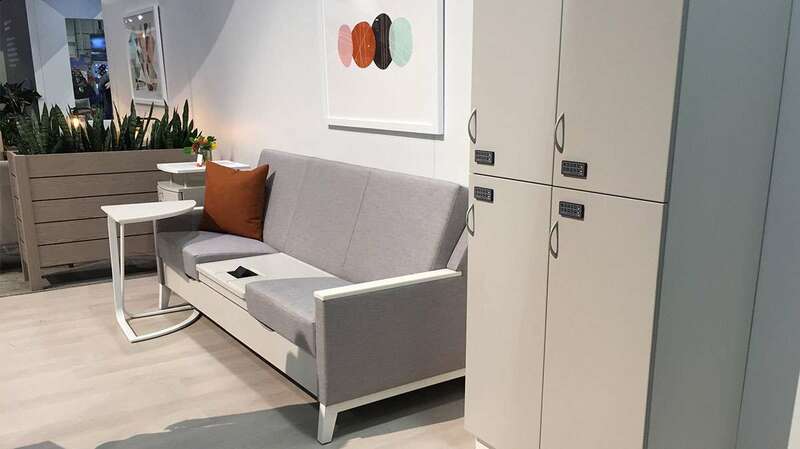 This entry was posted in Articles, News and tagged AIS, KAD Associates, OFS Heya, Open Plan Office Furniture. Bookmark the permalink.